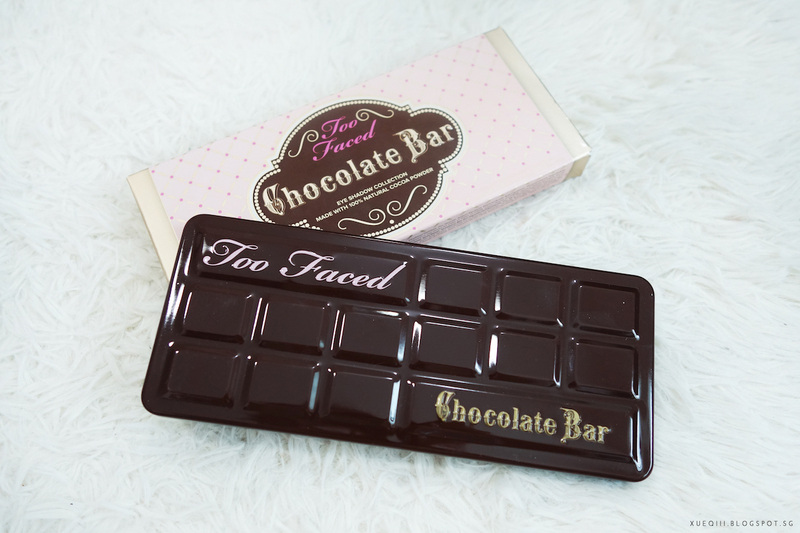 I created a makeup look using the Too Faced Chocolate Bar Palette. 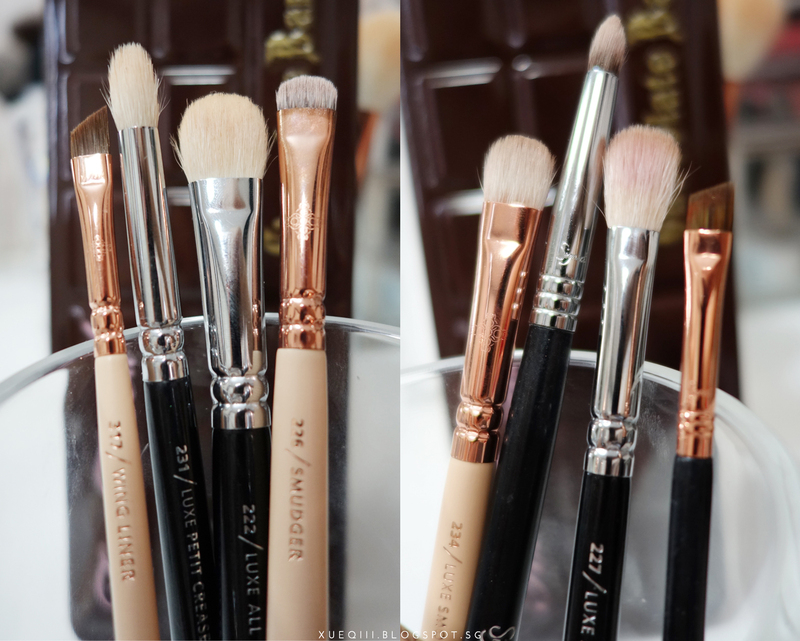 Click here for a more in-depth review with close up swatches and description of each shade. 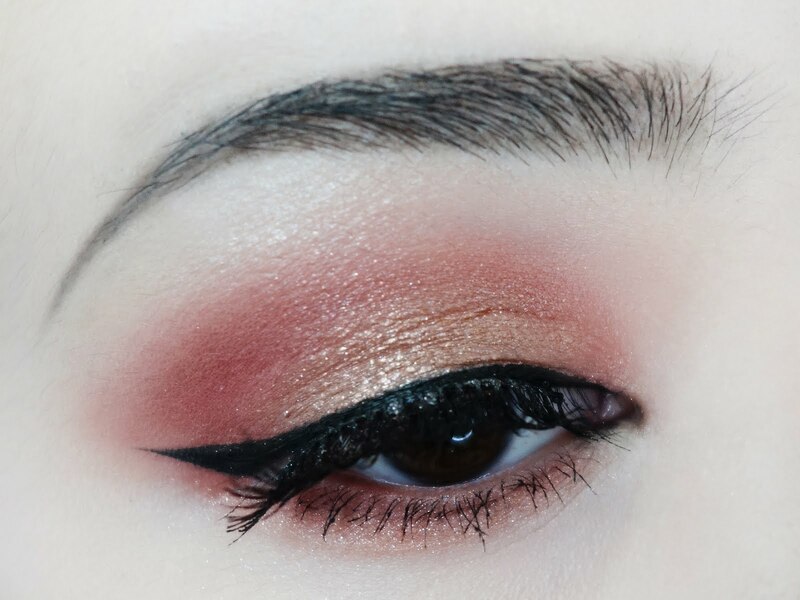 To see how I achieve this eye look then just keep on scrolling! Prior to the eyeshadow, I have done up my brows using the Anastasia Beverly Hills Dipbrow Pomade in Dark Brown, and setting it with the Etude House Color My Brows in #04. Step 1 - Set the eye primer - Urban Decay Primer Potion, with White Chocolate. Step 2 - Start blending Milk Chocolate and Salted Caramel into the crease. Go in windshield wiper motion and also in circles to make the transition looks blended. I learnt this from Jaclyn Hill and it changed my blending game! Step 3 - Deepen the crease with Amaretto and Cherry Cordial on the outer and inner corners. Creating a halo effect, leaving the center of the lids bare. Step 4 - Apply Creme Brulee all over the center of the lid. Step 5 - Go back in the inner and outer crease with Amaretto and Cherry Cordial to intensify the look. Making sure the gold Creme Brulee is not getting everywhere. Step 6 - Further intensity the halo effect - center of the lid, with the super shimmery Marzipan. Step 7 - To balance out the look, just apply all the shades in the same order and position on the lower lash line. Step 8 - Lastly, to finish up the look, just add a wing line and falsies. 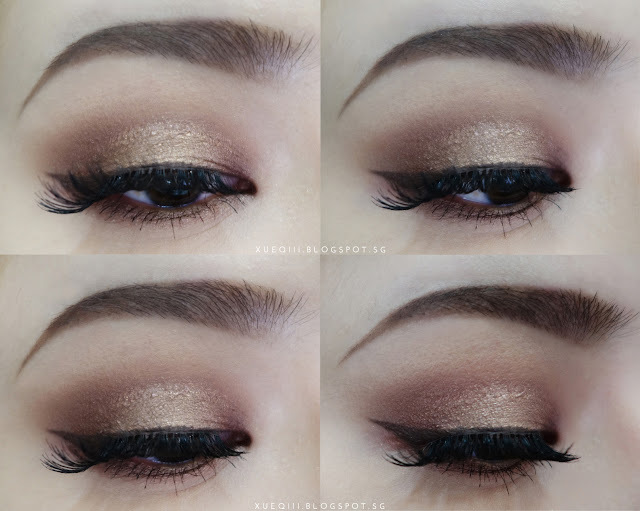 Here I used the e.l.f Cream Eyeliner in Brown to create a softer look as I want the focus to be on the shadows and brown compliments the look very well. Falsies is the Red Cherry Lashes in #43. Mascara used is the Maybelline Lash Sensational Mascara. Close up on the crazy long lashes! Here's an excessive amount of close up shots on the eye look. 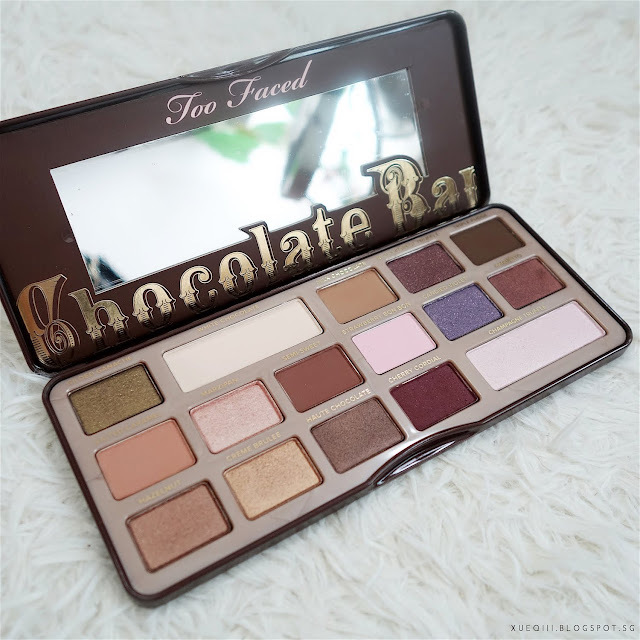 That's all for this post and I hope you guys enjoyed the look I created with this palette.